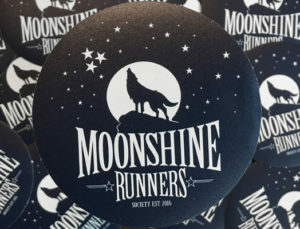 Huntsville’s getting a little more moonshine as Moonshine Runners Society opens the first satellite chapter in Rocket City on March 1. My introduction to the vast running community in Huntsville, AL came a couple years ago when in-town for a shoot. Ever curious about exploring new areas to run, I put out some feelers for a midweek lunch time running routes recommendations in the area and received an affirmative response from Gregg Gelmis, owner/photographer at We Run Race Photos and team member at NASA. He sent directions to a map pin drop at a trailhead in Monte Sano Park where Clementine and I would enjoy a guided tour of this gorgeous trail system. This is what I love about the running community – total strangers unified by a love of running gathering to share a slice of time doing what we love to do. We exchanged interesting conversation, shop talked photography, got our shoes muddy, and soaked up some sunshine shooting through the trees. On Thursday, March 1, Gregg and I will soak up the moonshine together as he hosts the first Moonshine Runners Society full moon run, kicking off the Huntsville lunacy. I’m excited to be there too to meet more of the Huntsville running community as we run under the third full moon of 2018. 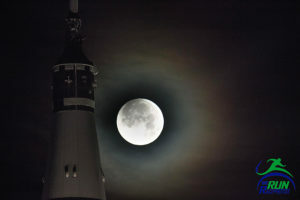 Meetup is at the US Space & Rocket Center beneath the rocket at 7:45pm for the 8:00pm start. Free stickers to everyone who attends. Bring your friends; bring your dog. Nashville chapter meets Friday, March 2 at 7:45pm in our usual location at Osburn Soccer Park as we celebrate the 24th running of the moon. Two years! Grateful for you all. Full moon runs have become my favorite runs of every month, and these two in particular will be remarkable. Cheers to ye luna-tics. See you soon. P.S. Big welcome to the Huntsville lunatics. 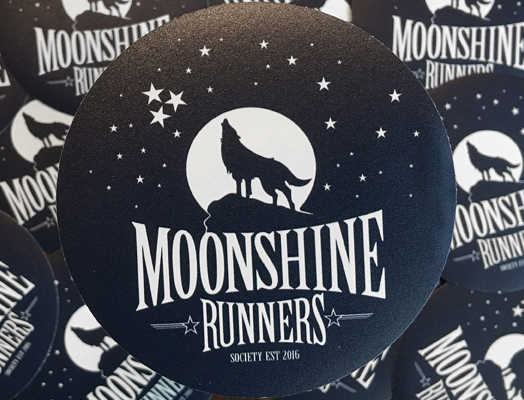 Learn more about Moonshine Runners Society on this here site. And here’s an open invitation to pop into our Facebook group and our Strava club to meet your Nashville area cohorts. Perhaps you know many of them already from the Southeastern racing scene. If not, make some new friends. See you at the rocket on March 1! This entry was posted in Full Moon Runs, News and tagged Full Moon Run, Huntsville, Moonshine Runners Society, US Space & Rocket Center. Bookmark the permalink.